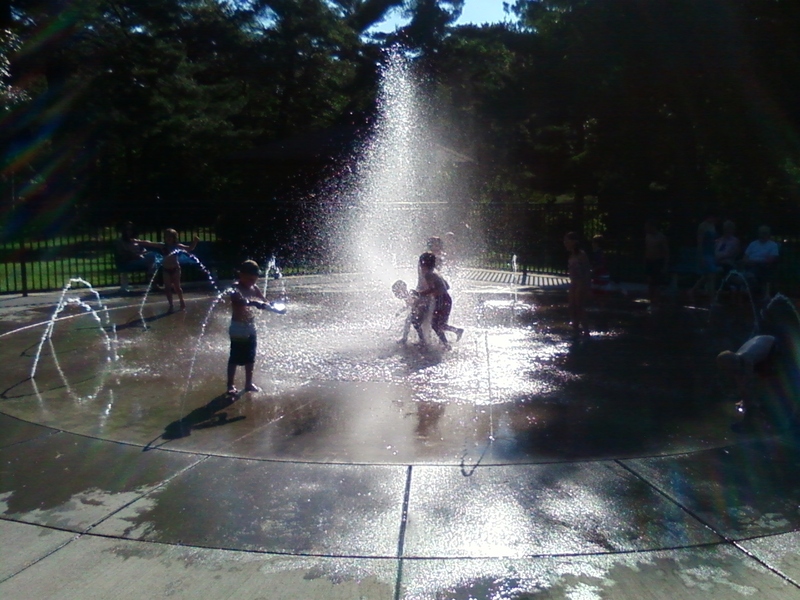 Tonight, I was at the fountain at Irvine Park with the kids. My friend Alison, her husband, and their kids were there too. Michael and Evan are only a month apart, and have been buddies since they were babies. The kids all played great for a couple hours, while we adults chatted. When they all left, the kids and I walked over to the creek for some playing in the water… I found some wild raspberries, that I was picking for the kids, when they started fighting. Their fighting escalated into a complete meltdown from Michael, Grace yelling at her brother, and me yelling at both of them. The meltdown continued to the point of Michael sitting on the ground kicking and screaming, refusing to come with… I had to pick him up and put him over my shoulder… the battle continued… I was embarrassed, humiliated really, and beyond frustrated!!! I really hoped that no one was looking, but how could they not notice the family of 3 all fighting, kids crying, etc… UGH!!! Soon, the kids will be going to bed, and tomorrow will be a new day. Every day, we get a fresh start. We can put the problems from the day before aside. Embarrassing moments with the kids don’t stick with you the next day. Emotionally, maybe, but we can choose to make tomorrow better than today. Previous We’ve all been there!! Next The Neighborhood "Mom"